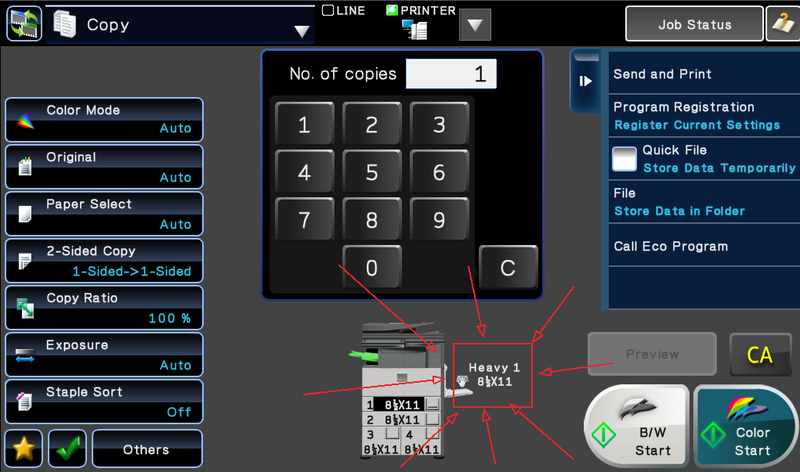 We are often asked how to print on heavy paper on the Sharp copier/printers. Once you know how it works it is quite simple to manage. This is a two part process. The first part takes place at your PC before you print the file. The second part takes place at the touch screen of the Sharp copier. 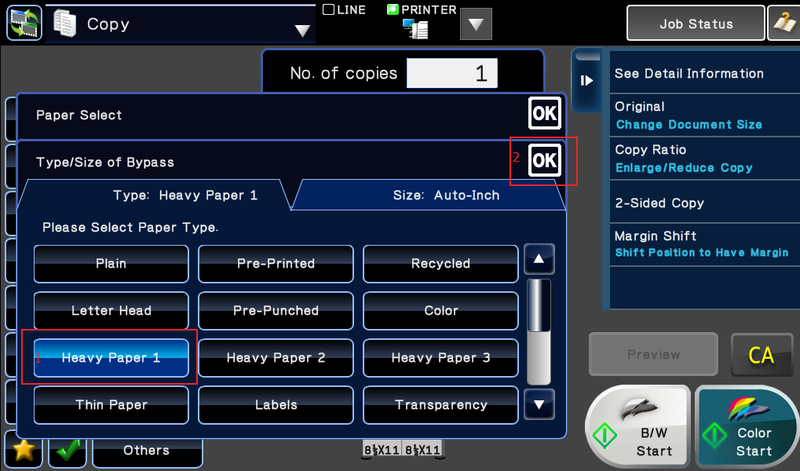 The key here is to match the TYPE of paper that you’re printing on both in your print driver, and at the copier. Follow along with this video, or with the step by step pictures below. Download a PDF version of these instructions. When you approach the machine you’ll probably see a screen that looks like the picture below. 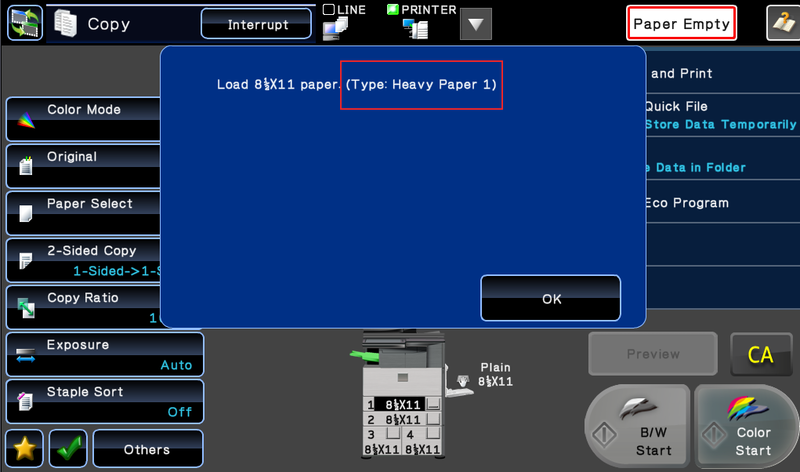 When the message says “Load Paper” or “Paper Empty” even when there is paper in the bypass it it because the TYPE of paper hasn’t been changed to match the print job that is sitting in the queue. 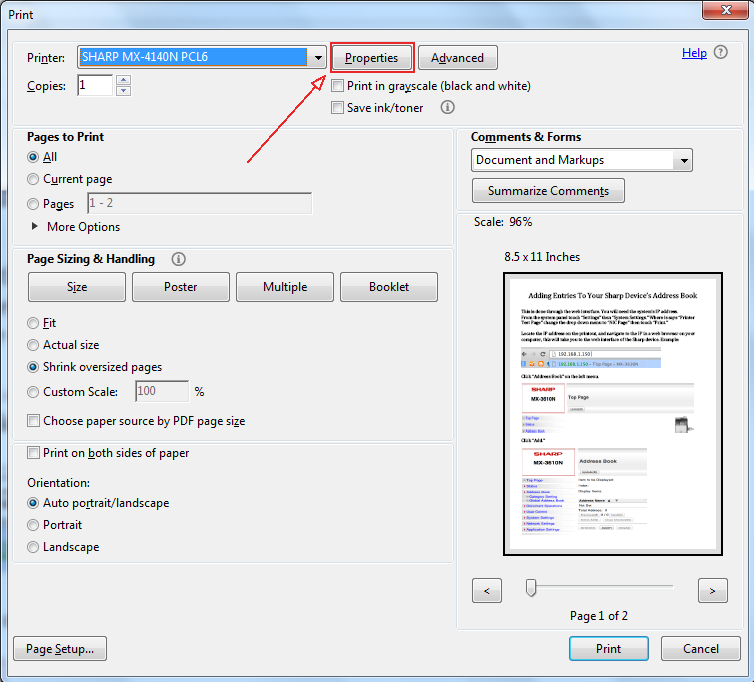 Now we need to change the TYPE of paper to match the type you selected in your print driver. When the types match it will pull the paper without a fuss. At this point your paper should have pulled into the machine to process your print. You’ll notice on your copy screen that the bypass is now set for Heavy Paper 1. It will remain on whichever type of paper you chose until someone manually changes it. 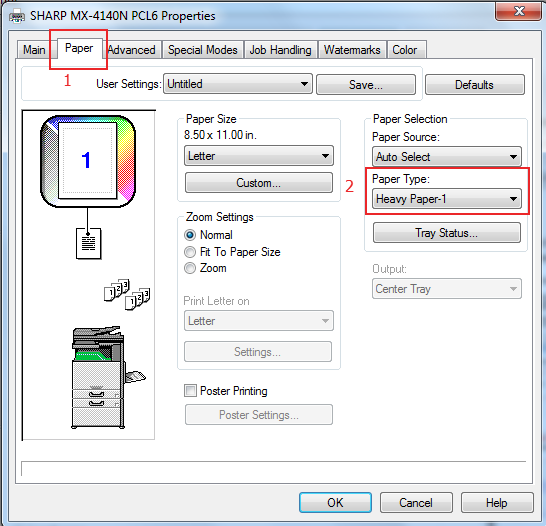 The key here is to make sure the TYPE of paper you have chosen in your print driver matches the type of paper that you have your bypass tray set for. It doesn’t matter which order you do this process in. 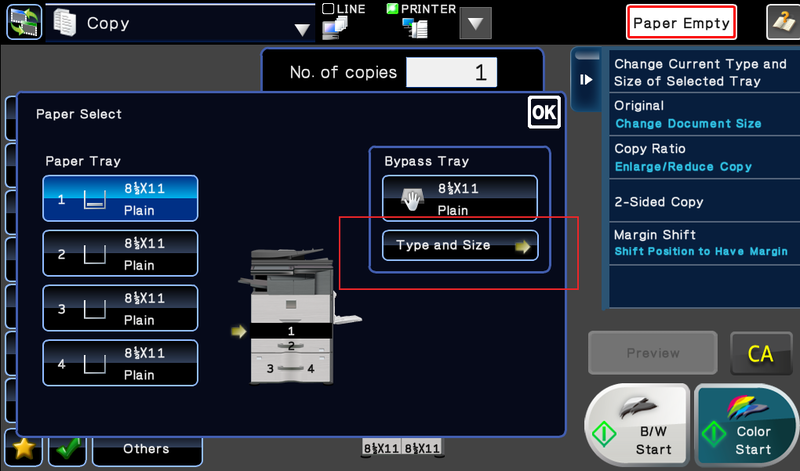 You can set the bypass tray for the correct type of paper before you send the print to it, but that just requires an extra trip to the machine. We hope you’ve found these instructions useful for when you need to print on heavy paper to your Sharp printer. Thanks for looking! If you need a quote on a wonderful, easy to use Sharp copier simply fill out our quote request form. If you need a color copier lease in Houston, Skelton is here to get you fixed up quickly and professionally. There is no charge for delivery, installation, and networking for printing/scanning! 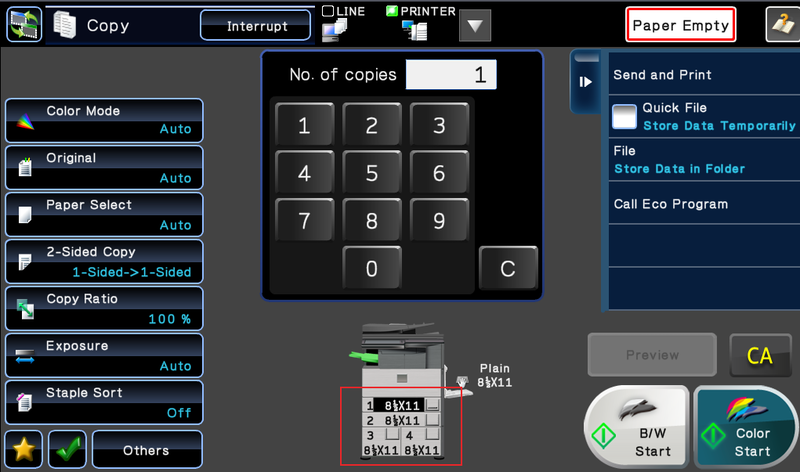 On the touch screen in copy mode, touch the paper trays on the picture of the machine, then change the type.